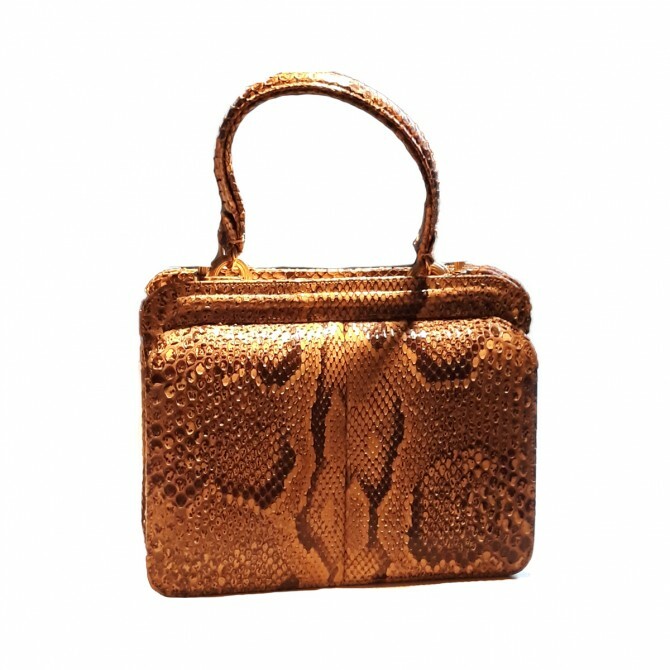 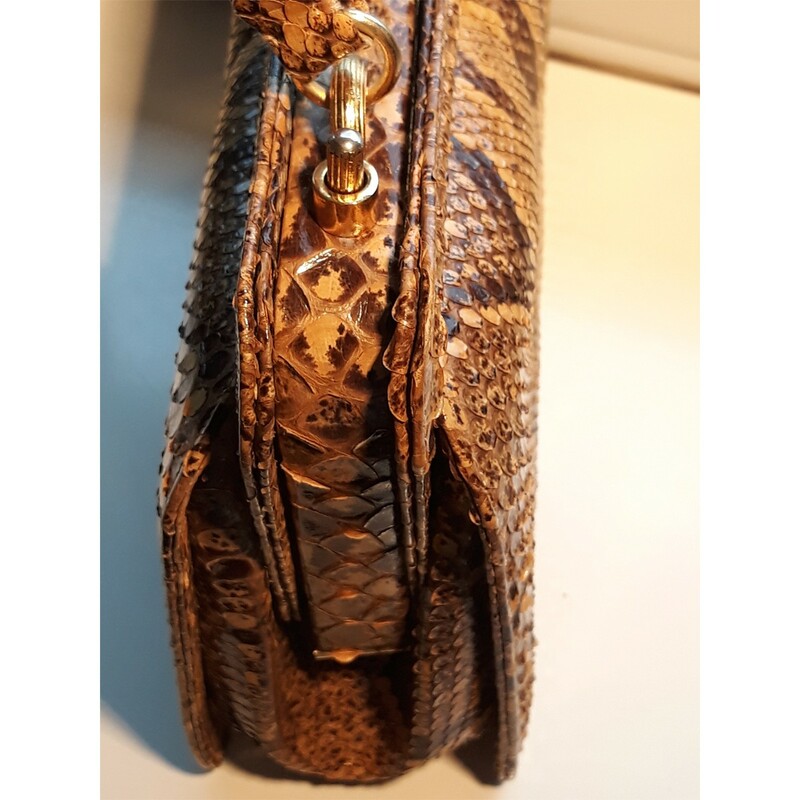 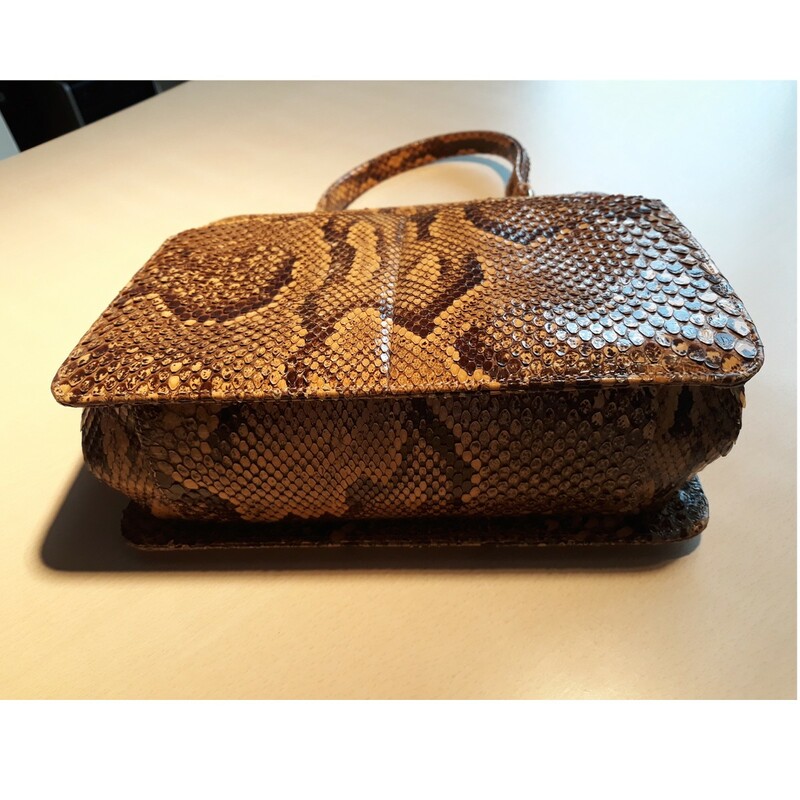 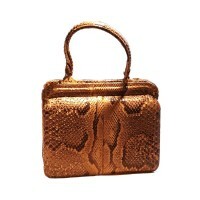 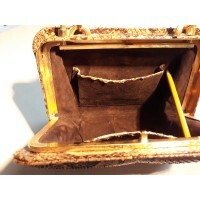 An elegant 50s-60s vintage snake skin handbag in honey - colored python accented by just a hint of bronze-tone metal. 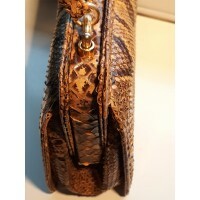 Interior is in mint condition with brown grossgrain fabric, two slip pockets with python trimming. 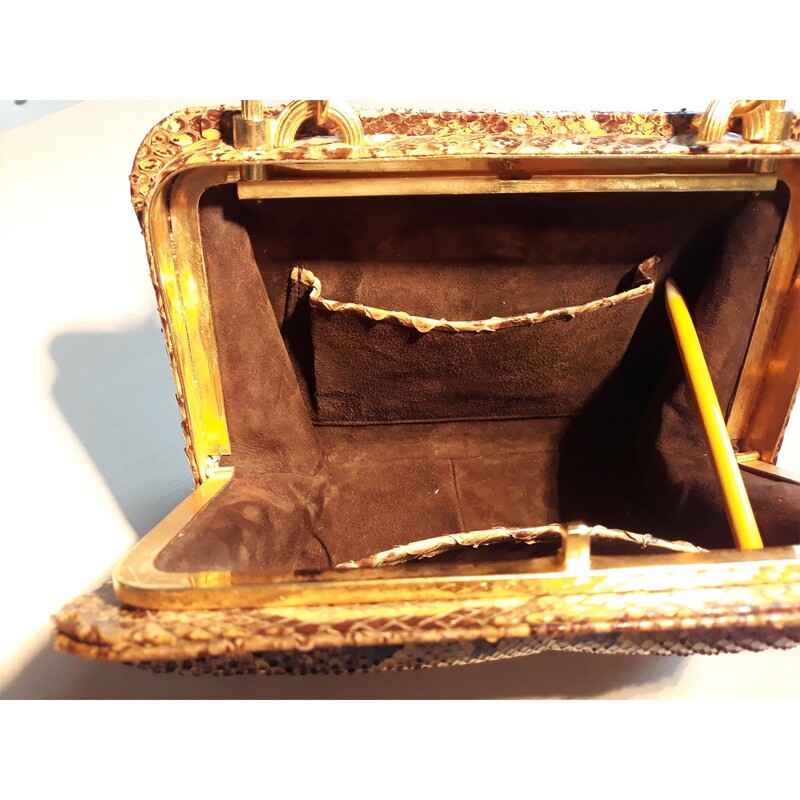 Featuring two top buttons for opening the bag.